Yuu Baal Madrecuixe Zapotec for earth (yuu) and fire (baal), the two key elements for creating mezcal, this spirit is produced from wild agave. It has a salty, spicy aroma with soft citrus around the edges. The taste has intense notes of green vegetation and wet earth. Is excellent for all occasions, as an appetizer or even as a complement for some of the most diverse regional foods, national and international alike. For the ardent palate as much as in the indulgence of its out most desire as in the enjoyment of the undiscovered, a drink that demonstrates the marvellous density of the best Mezcals. Yuu Baal Madrecuixe is made with wild agave Madre-Cuishe by master mezcalero Alberto Ortiz in Santa Maria la Pila. 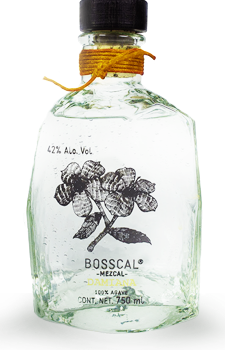 This mezcal offers an unmistakable herbal aroma and taste. It accentuates intense notes of green vegetation and wet earth, with a mineral smell that is unparalleled and unforgettable. This is the only Yuu Baal mezcal that is made by Alberto Ortiz, who is responsible for many high-end mezcals that are distributed by other brands.